A power-sharing coalition between the pro-U.K. Democratic Unionist Party and the pro-Irish Sinn Féin in Northern Ireland has broken down over a badly botched renewables subsidy scheme that could cost the region up to £1 billion ($1.25 billion). The two parties are part of the Northern Ireland Assembly, which was set up to help end decades of violent struggle in the region by allowing representatives of the Protestant and Catholic communities to govern together. Its First Minister, head of Democratic Unionist Party (DUP) Arlene Foster, has refused to step down over accusations she was responsible for fatal flaws in Northern Ireland’s Renewable Heat Incentive scheme. As a result, Deputy First Minister and Sinn Féin member Martin McGuinness has resigned, triggering an election that will take place on March 2 this year. Set up in November 2012, the Renewable Heat Incentive (RHI) scheme was an attempt by Northern Ireland to help to increase consumption of heat from renewable sources. The overall goal was to achieve 4 percent of heat coming from renewables by 2015, and 10 percent by 2020. 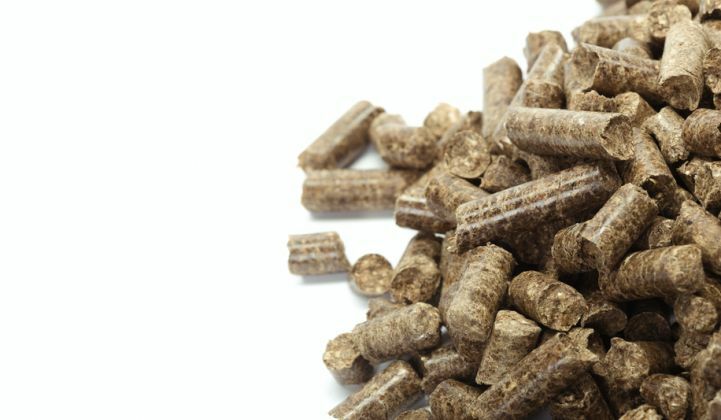 One of its main goals was to subsidize the purchase and running of wooden pellet biomass boilers for farms and other businesses. Successful applicants could look forward to economic assistance for 20 years. Unlike a similar scheme set up in the rest of the U.K., there was no cap on the amount of subsidy for burning biomass. The more you burned, the more you earned -- a grave program-design misjudgment that ended up having major ramifications later. Despite the scale of state generosity, initial interest in the RHI fell flat. Until early 2015, the Department of Enterprise, Trade and Investment (DETI), which held ultimate responsibility for the scheme, under-spent its £25 million ($31 million) budget by £15 million ($19 million). The minister in charge of the DETI at the time was Arlene Foster. Although there was scant public interest in RHI, alarm bells were already ringing in the corridors of power. Or rather, they should have been. In 2013 a whistleblower contacted DETI Minister Foster detailing misgivings about the scheme. The anonymous individual sent a reminder email on May 12 that year. The DETI subsequently acted -- by extending the RHI into the domestic sector. What’s more, an opportunity for the Department of Finance to review the scheme in January 2015 did not take place due to a "combination of staff changes and an administrative oversight," according to the department. In the meantime, the number of RHI applications skyrocketed -- 98 percent of which were approved, seemingly with little or no consideration from the authorities. As a result, factories and farms with no previous need for heating were installing boilers and hoping for handouts of up to £1 million ($1.25 million) per installation over the course of 20 years. It was a combination of these claims and the enormous in applications that led to an investigation in February of last year -- and the official closing of the RHI. A probe into applications found that some were entirely fraudulent. However, the majority were legitimate and are likely to be honored. As a result, the whole fiasco could cost Northern Ireland £1 billion ($1.25 billion). Despite the fact that she headed the DETI at the time, First Minister Foster has refused to resign. Staff also attempted to remove her name from documents relating to the RHI, something she insisted she did not order. Her refusal to step down was the final straw for Sinn Féin, and Assembly Deputy First Minister Martin McGuinness stepped down himself. Since he held joint office with Foster, his departure meant that by law a general election must be called. The political chaos could extend far and wide. U.K. Prime Minister Theresa May contacted both Foster and McGuinness to urge them to resolve the crisis, fearing that a new election, only seven months after the last one, could further undermine the entire country’s Brexit strategy. Her pleas fell flat, and Northern Ireland goes to the polls in less than six weeks. Frank Aaskov, policy analyst at the U.K. Renewable Heat Association, said that whatever the political fallout of the "cash for ash" affair, it will have minimal effect on renewables. “The Renewable Heat Incentive that covers Great Britain, which includes England, Wales and Scotland, is administered out of London and is completely distinct from the scheme in Northern Ireland,” he said. “The scheme in Great Britain has clear regulations in place, including caps and mechanisms that reduce the tariffs as the technology improves, that prevent the such a significant overspend from occurring. “The Great Britain RHI is a pillar of the U.K.’s energy decarbonization strategy and has been the primary scheme that has supported the growth of renewable heat systems such as biomass boilers, biogas plants, solar thermal systems and heat pumps. It is an important mechanism that supports the government’s movement toward meeting the 2020 renewable energy targets, in addition to the U.K.’s carbon budgets in the 2020s and 2030s," said Aaskov. Meanwhile, the political scandal continues to rumble on, with Finance Minister Máirtín Ó Muilleoir of Sinn Féin calling for a public inquiry and members of the Northern Ireland Assembly revealing that their relatives had taken full advantage of the RHI.